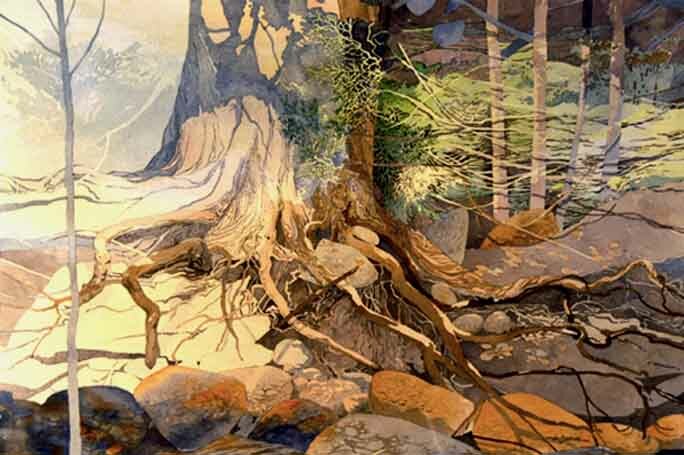 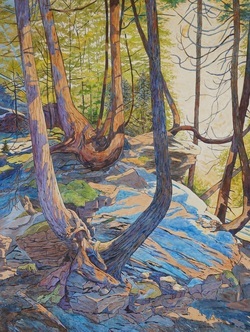 Lin first attended art school at London's Beal Special Art 2 year course, then after working for 10 years as an illustrator, returned to study fine art at the University of Waterloo, Ontario. 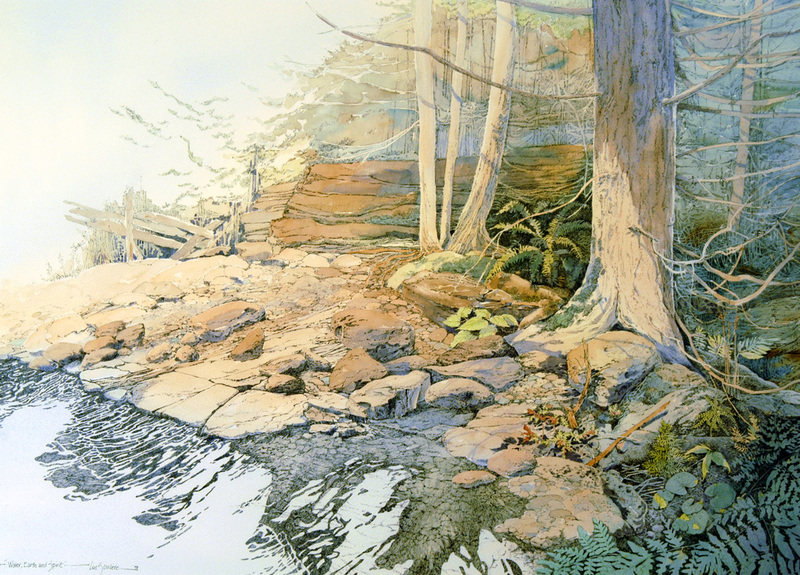 She in an elected member of the CSPWC ( Canadian Society of Painters in Water Colour) and currently their Central Ontario Regional Director. 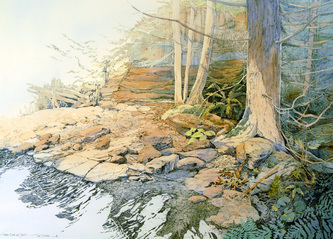 Also elected member of SCA Society of Canadian Artists. 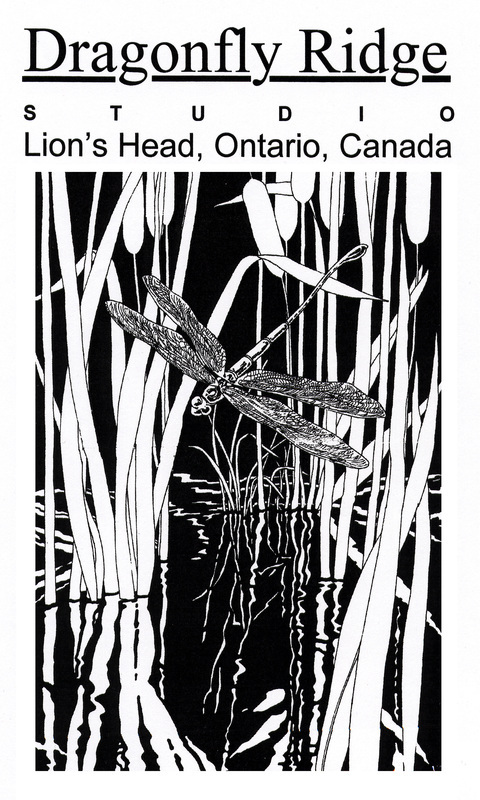 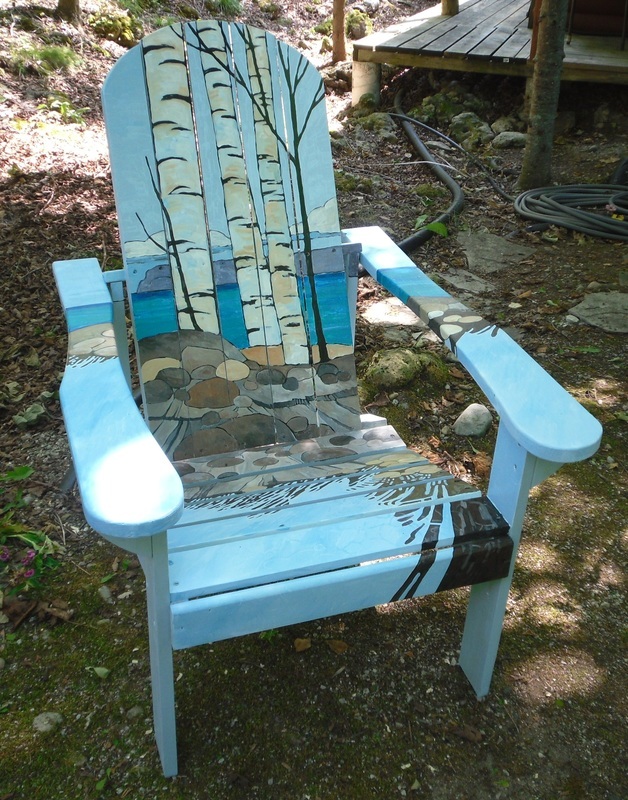 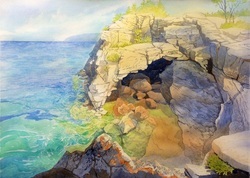 A founding member of the BPSA ( Bruce Peninsula Society of Artists) and currently lives and works from her studio Dragonfly Ridge near Lion's Head on the Bruce Peninsula in Ontario. 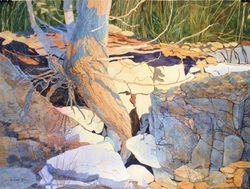 Her work is part of many private and corporate collections. 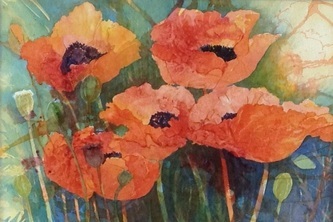 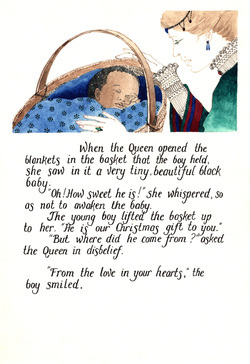 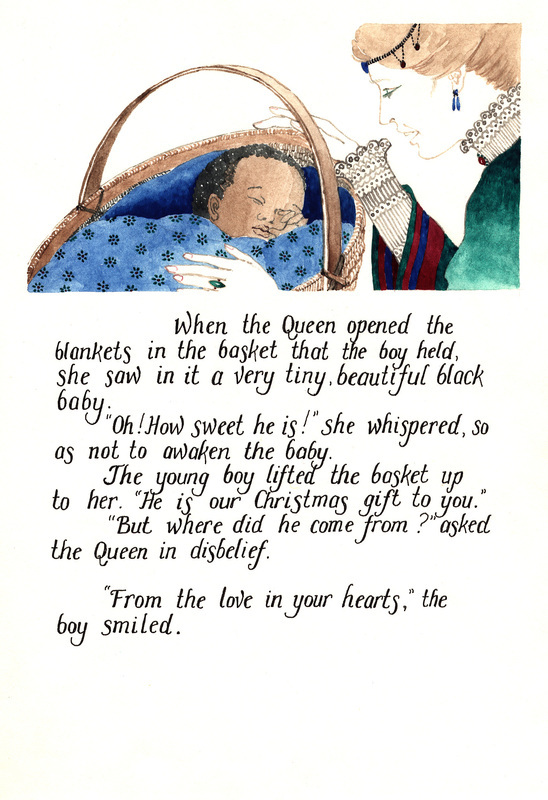 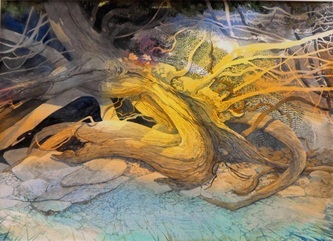 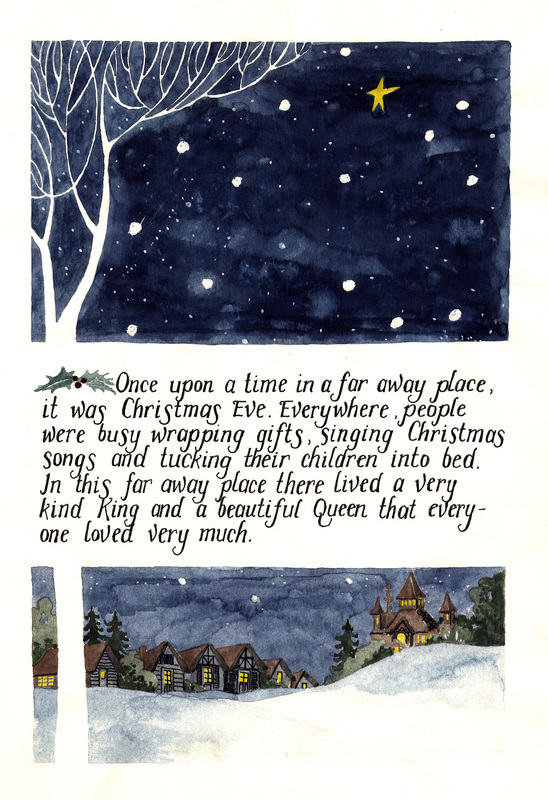 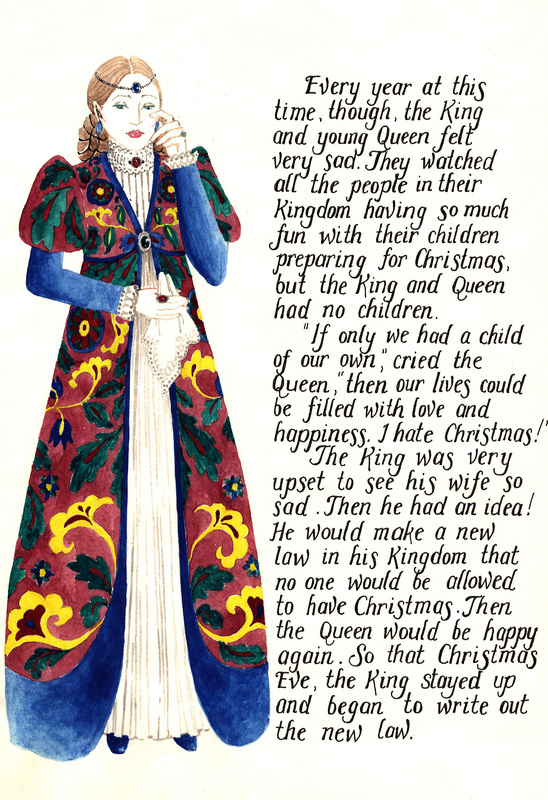 Throughout her career, she has illustrated a number of books and won awards for her painting. 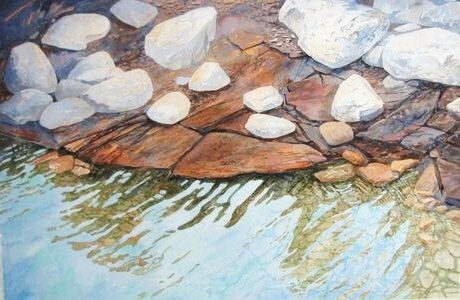 She works in watercolour, acrylic, pen and ink, and oils. Her work has been published in Northlight Books SPLASH 10, and the Artists and Illustrators magazine in the UK. 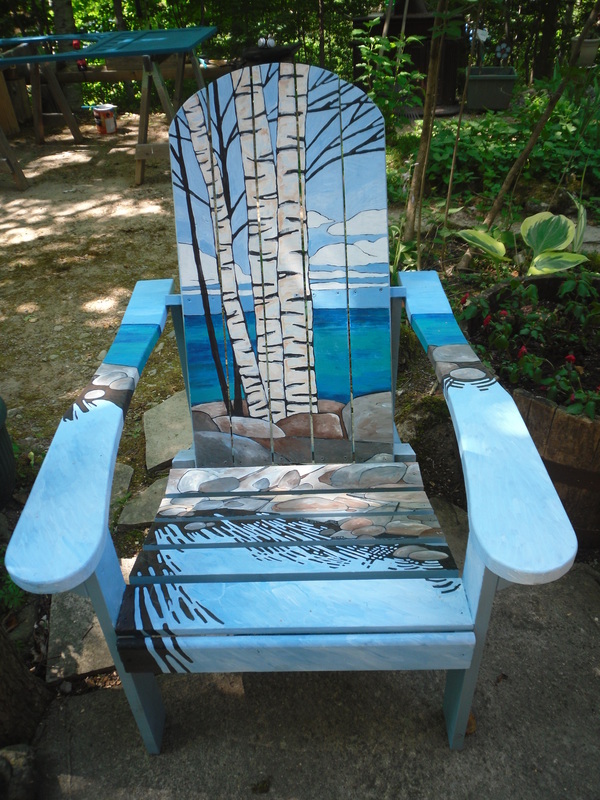 She is the Director of the Santa Fe gallery in Owen Sound, Ontario. 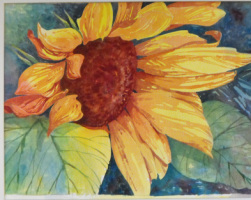 She is available for commissions and special projects. 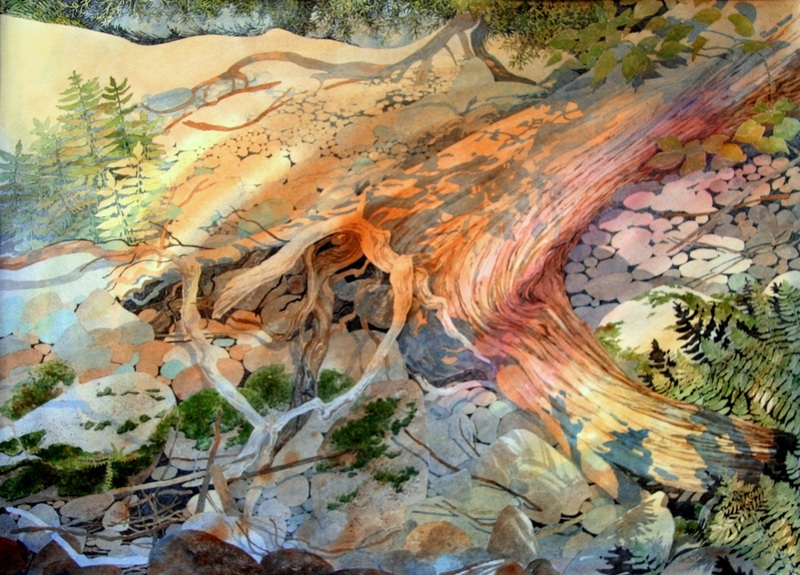 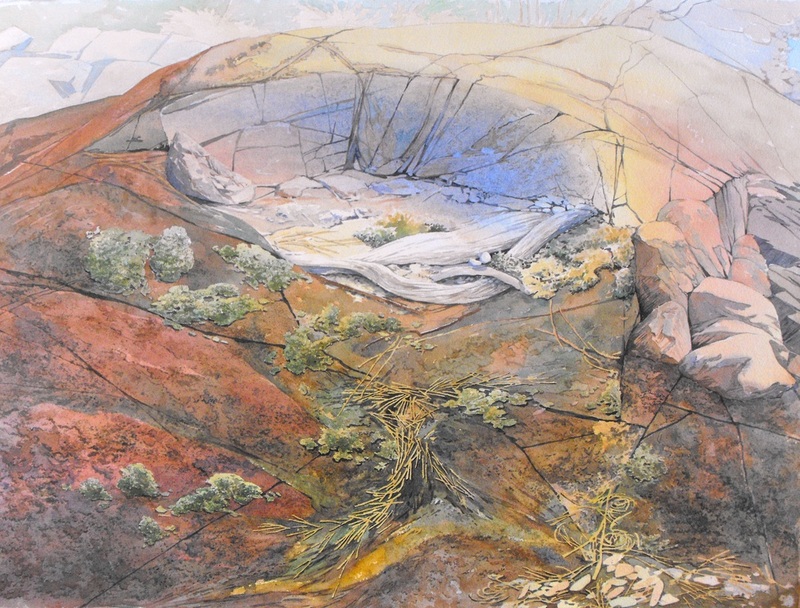 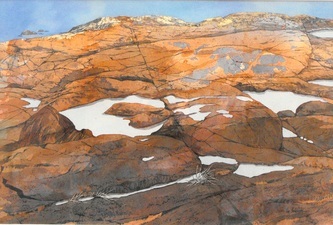 Canadian Shield Series, Rock Split I, Watercolour and Ink, 15x30 in, $800. Note: Currently working on a series of paintings based onthe Canadian Shiled Rocks of Northern Ontario. Watch for more images as I finish them.